Small video cameras will be attached to green turtles as part of a conservation project to protect the species and its grazing habitat. The pioneering programme will see American scientists join forces with local conservation experts to tag and monitor the feeding habits of the protected marine animal. 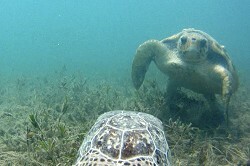 And it will give them a ‘turtle’s eye view’ of how the species interact in the waters off Bermuda. American experts, Jim Fourqurean and Derek Burkholder from Florida International University will arrive on the island a week today and join a six strong team from the Department of Conservation Services. They will be joined by a third US scientist, Jud Kenworthy, who recently retired from Nationals Oceanic and Atmospheric Administration in North Carolina on August 1. The team is planning to start the two-week project on July 30 at the Chub Head site, which is around seven miles off the West End. The study will involve nine video cameras being tethered to the seabed, while a further three cameras will be attached to the back of green turtles that are captured. The cameras will only be fixed to larger turtles and will pop up to the surface after less than a day in the water. Marine Conservation Officer, Sarah Manuel, said: “For the past six years the Bermuda Benthic Habitat Mapping, Monitoring and Assessment Programme has been studying seagrass beds around Bermuda. “At our Chub Head monitoring site we have looked specifically at the effects of grazing on the condition and health of the seagrass Thalassia testudinum. The project will help scientists estimate turtle populations as well and monitor grazing habits. Three turtles will also be fixed with satellite tracking devices that will last around 300 days during the programme. Ms Manuel added: “We will be very conservative and careful with the size of the turtle that we choose to attach the cameras too. “They will have to be over a certain size and we will always look after the animal’s best interests. This September, six pairs of Bermuda skinks will be collected from one of their last strongholds in Castle Green team: The conservationists behind Bermuda’s Lifeboat Projects (clockwise from left) Drew Pettit, Director of Conservation Services; Dr Robbie Smith, curator at the Natural History Museum; Robin Marirea, head zoo keeper; Alison Copeland, biodiversity officer and Mark Outerbridge, researcher for the Bermuda Zoological Society. *Photo by Kageaki Smith Harbour. The critically endangered rock lizards will be carefully loaded onto a plane and flown to Chester Zoo in the UK. Their mission is simple: to secure the future of Bermuda’s only indigenous land vertebrate. 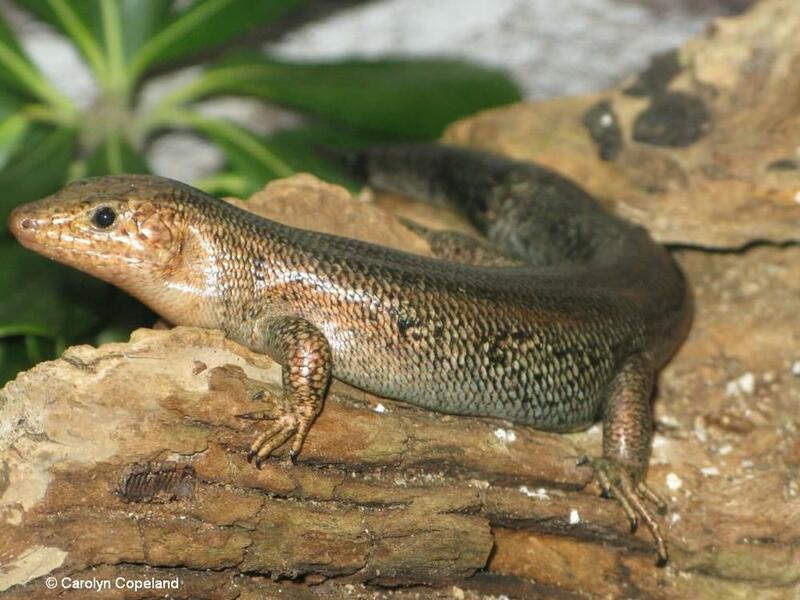 The Bermuda skink project is the latest in a series of ‘Lifeboat’ initiatives organized by conservationists in Bermuda to safeguard the island’s rarest and most endangered species. Over the past 10 years it has seen killifish sent to the Vienna Zoological Gardens, Bermuda land snails sent to London Zoo and the Governor Laffan fern sent to Henry Doorly Zoo in Omaha. This work has helped to create ‘repositories’ of Bermudian species on the brink of extinction across the globe. And it means they could be brought back to Bermuda if the natural population died out. Drew Pettit, Director of Conservation Services, said: “Bermuda is one of the remotest oceanic islands in the world. “As a result we have had quite a few endemic species ranging from insects, marine animals through to birds and reptiles. “We should have more endemics, given our age and isolation but we believe a series of sea level fluctuations through the ages has stemmed some of this evolution. In the past there have been many recorded extinctions of plants and animals in Bermuda due to loss of habitat, climate change, disease and the introduction of pests such as rats. Mr Pettit added: “We know through fossils, historical documents and recorded observations that Bermuda used to have fireflies, an endemic flightless grasshopper, an endemic duck, an endemic crane, an endemic hawk as well as an endemic land tortoise — which disappeared some 300,000 years ago. “We also used to have four types of endemic snail, while now we only have one. The Department of Conservation Services, together with the Bermuda Aquarium, Museum and Zoo and its small team of Conservation Officers, has been working on developing ‘recovery plans’ and Lifeboat Projects since 2002. There are currently five different projects ongoing, at varying stages in Bermuda. Mr Pettit told the Sun: “A lifeboat can be defined as a small boat kept on a ship for use in an Rare: The latest Lifeboat Project will see a number of critically endangered Bermuda skinks collected from Castle Harbour and flown to Chester Zoo in the UK to help secure their future. emergency. “This same philosophy is being used for the conservation of our unique and threatened species. “While every effort is being made to safeguard the species that make Bermuda unique, we are using a precautionary strategy to relocate or export small populations of our threatened species to less vulnerable areas or institutions. “Our first priority is to ensure the survival of endemic species, which are unique to Bermuda. Conservationists work at both a local and an international level to help protect the island’s most endangered species. Mr Pettit added: “On a local level – we transplant or relocate small populations from one particularly vulnerable area to other areas in order to increase the island range by spreading the risk out across the island. “The Department has found that many of our endemic species have now been pushed into only a couple of places which are at high risk of failure. “A good example is the endemic Lover’s Lake Killifish which until recently survived in only one pond. “Now populations have been trans-located to two other ponds to safeguard their survival. “On an international level we also work with international Zoos and Botanical Gardens who are willing to help us preserve and breed these species. “In return they get to display in their institutions some of the rarest species in the world. The next chapter in the ongoing battle to save Bermuda’s unique population begins with the departure of the Bermuda skinks later this year. 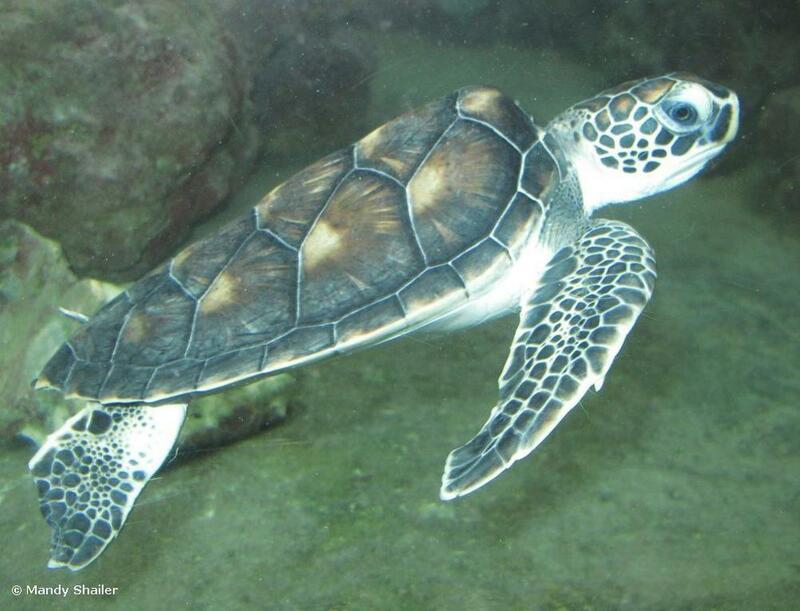 It is estimated that there are less than 5,000 of these critically endangered species in Bermuda today. They are found only on islets in Castle Harbour and there are a few fragmented populations along South Shore. The kink is Bermuda’s only endemic terrestrial vertebrate. Its future survival will depend heavily on the six rock lizards heading across the Atlantic Ocean. Mr Pettit added: “Our head zoo keeper has already visited the facilities at Chester Zoo with the help of an international grant. “Once they are established we will periodically send over more Skinks to broaden their genetic diversity. 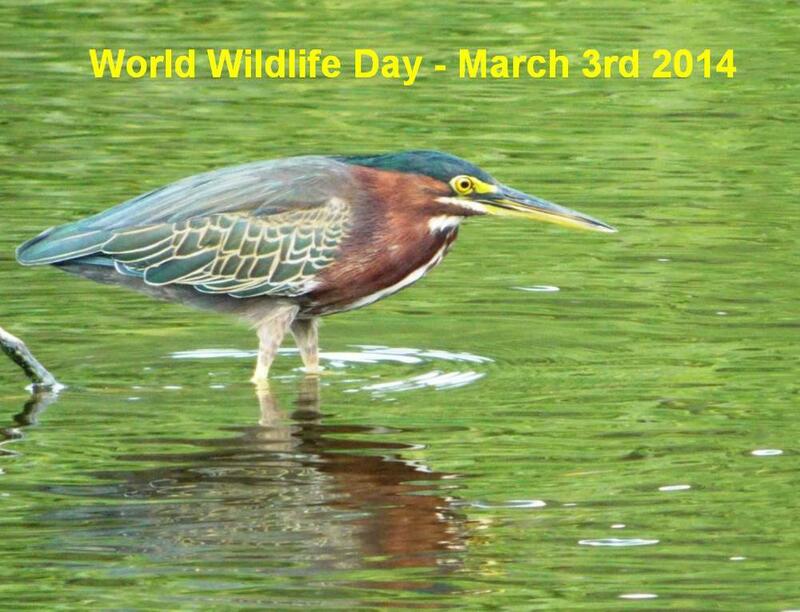 If you think you have seen any of the species listed in this article email conservation@gov.bm or visit www.conservation.bm to leave a message.